As usual, when 3-year-old N sees clip cards, he asks for a set to work on himself. 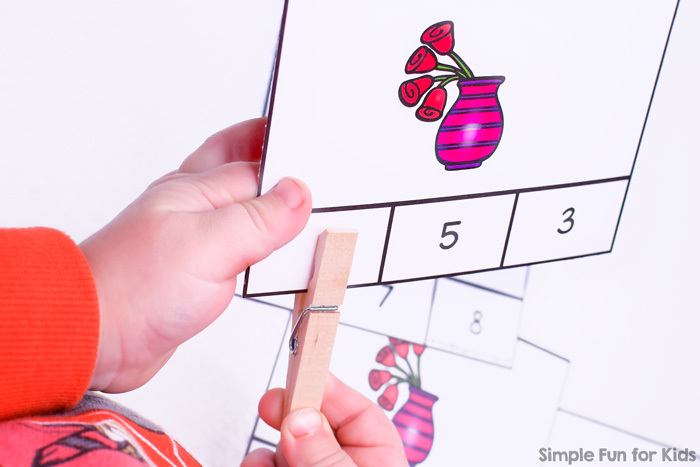 The most recent case was when he saw E’s Rain Cloud Multiplication Expression Clip Cards and couldn’t wait to get his hands on the Counting Roses Clip Cards I’m sharing today. 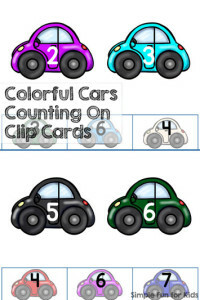 N is doing very well with counting up to about seven, but I didn’t realize until I watched him work with these cards that his number recognition up to 5 is spot on now, too. 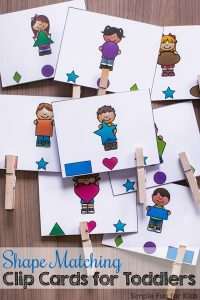 The file includes 11 clip cards covering number 0 through 10 and one instruction card for how to use the cards. 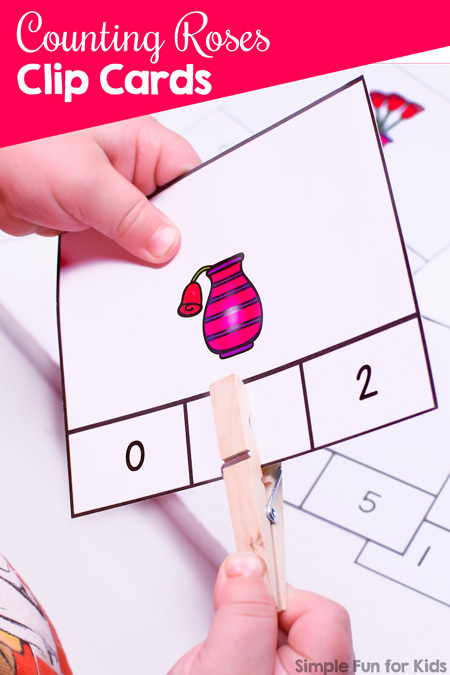 Each card shows a vase with flowers (or in the case of zero, no flowers) and three different numbers at the bottom. 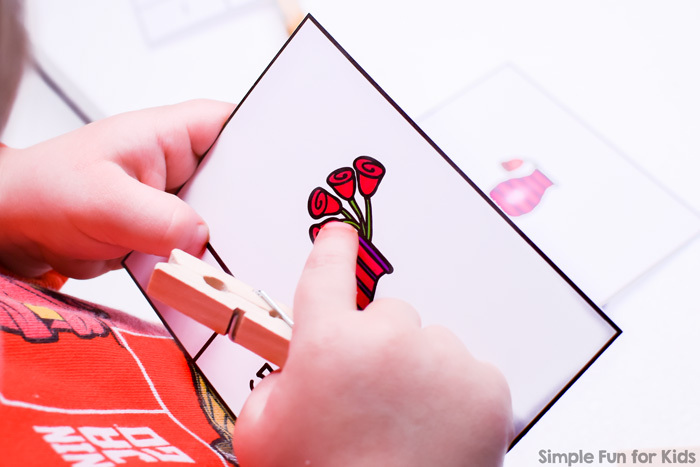 The objective is to mark the correct number of roses. 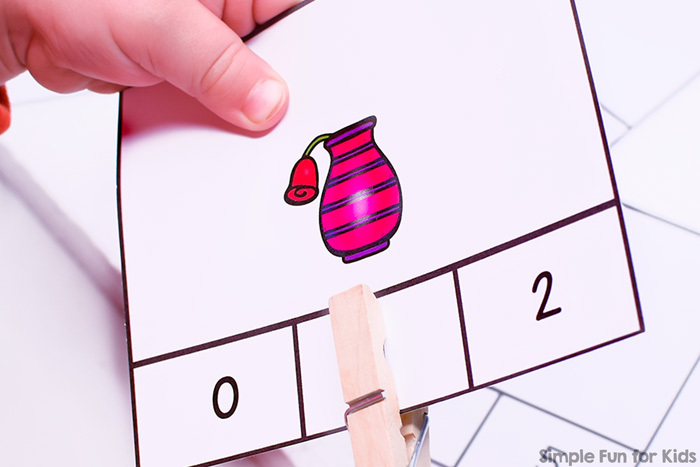 If you don’t want to use clothespins, your students could use a marker or manipulatives to mark the correct numbers. In both cases, you could leave the pages intact instead of cutting the cards apart at the black lines. 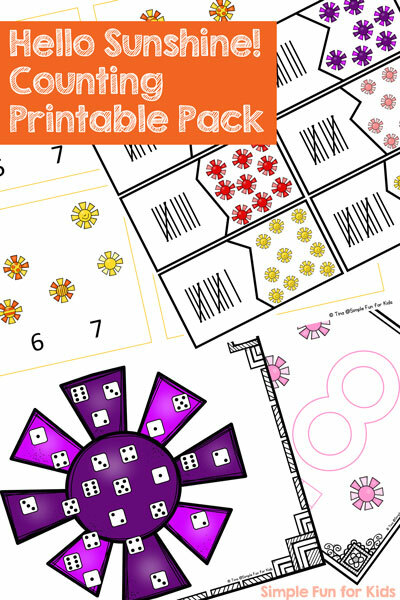 Download your Counting Roses Clip Cards! Or click here to see this page on my membership site and become a VIP member today! The VIP version includes three different font choices in color and black and white. 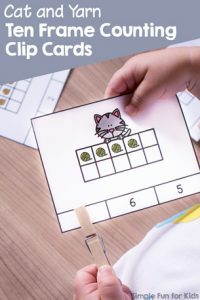 Are you looking for more math clip cards? Here are a few others!